Two different flowers of the same new intersectional hybrid which bloomed for the first time in June of 2002. 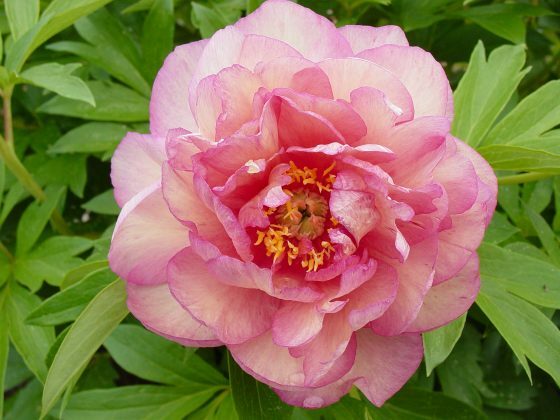 The flowers of this new hybrid open a very beautiful pink but, then change to an even prettier light cream that is heavily flushed and edged in pink. The combination of both colors together is quite stunning. 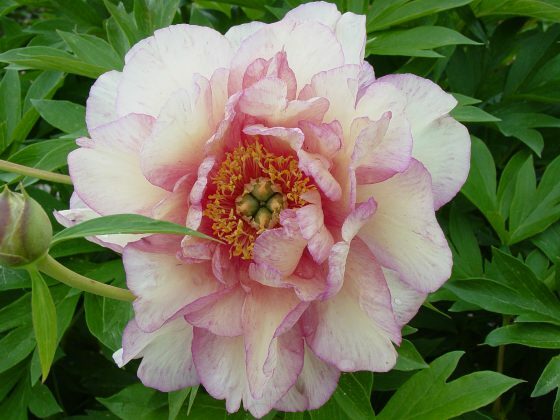 For more photos of this peony click on the link below.